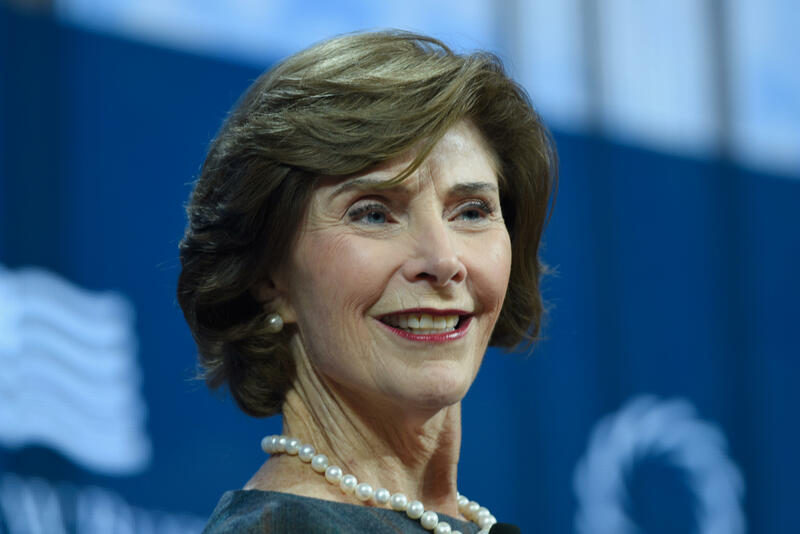 Laura Bush: Taking kids from parents at border is "cruel," "immoral"
Former first lady Laura Bush criticized the Trump administration over the practice of separating undocumented migrant families, taking children from their parents at the border. "I live in a border state," Bush wrote in a Washington Post op-ed that was posted Sunday evening. "I appreciate the need to enforce and protect our international boundaries, but this zero-tolerance policy is cruel. It is immoral. And it breaks my heart." For Bush, the practice of separating families threatens our national identity as "a moral nation." "We pride ourselves on believing that people should be seen for the content of their character, not the color of their skin. We pride ourselves on acceptance," she writes. "If we are truly that country, then it is our obligation to reunite these detained children with their parents -- and to stop separating parents and children in the first place." Though everyone agrees that the U.S. immigration system "isn't working," she says, "the injustice of zero tolerance is not the answer." It is very rare for Bush, the wife of ex-President George W. Bush, to wade into political controversies, but perhaps this exception is less surprising because it is in keeping with her longtime advocacy for children. In her op-ed, she writes that while the material needs of the migrant children are being met with "beds, toys, crayons, a playground and diaper changes," at shelters run by by the U.S. Office of Refugee Resettlement, "the people working at the shelter had been instructed not to pick up or touch the children to comfort them. Imagine not being able to pick up a child who is not yet out of diapers." It reminded her of her late mother-in-law, Barbara Bush, who picked up and comforted a young child dying of HIV/AIDS. "She, who after the death of her 3-year-old daughter knew what it was to lose a child, believed that every child is deserving of human kindness, compassion and love," wrote Laura Bush. "In 2018, can we not as a nation find a kinder, more compassionate and more moral answer to this current crisis? I, for one, believe we can," she concluded.